Annotation of Business Processes with semantic tags taken from a domain ontology is beneficial to several activities conducted on Business Processes, such as comprehension, documentation, analysis and evolution. On the other hand, the task of semantically annotating Business Processes is time-consuming and far from trivial. The authors support Business Process designers in the annotation of process elements by automatically suggesting candidate concepts. The annotation suggestions are computed on the basis of a similarity measure between the text information associated with process element labels and the ontology concepts. In turn, this requires support for the disambiguation of terms appearing in ontology concepts, which admit multiple linguistic senses, and for ontology extension, when the available concepts are insufficient. Labelling of activities in BPMN is not a rigorous and well documented task: it is often performed with a lot of freedom (Storey, 2005), thus generating unclear labels (with mismatching and overlapping terms) and, consequently, making process comprehension (Mendling & Recker, 2008), as well as knowledge acquisition harder. Semantic annotation can be used to provide a precise, formal meaning to process elements. Semantic information is also crucial for activities that involve reasoning and require automated support (Hepp et al., 2005), as for example documenting or querying a process (Di Francescomarino & Tonella, 2008), enforcing a policy, or verifying constraints on the business logics (Di Francescomarino et al., 2008). We use concepts taken from a domain ontology for the annotation of process elements, using standard BPMN textual annotations, in which concepts have an “@” prefix. Such annotations allow us to categorize BPMN elements, by unifying labels that represent the same concept and abstracting them into meaningful generalizations. We use the linguistic analysis of the process element labels and of the concept names for providing semantic annotation suggestions to business designers. By taking advantage of these suggestions the experts are facilitated in adding semantic annotations to process elements without however changing their original and specific labels. This allows to limit the drawbacks deriving from the semantic annotation (e.g., time and resource consumption), while preserving its benefits. We can envisage a couple of scenarios in which, in the perspective of providing a common basis for sharing and reusing knowledge across organizations and domains, semantic annotation benefits are remarkable. It is often the case that more enterprises, each with its own internal business process models, are interested in sharing knowledge and processes, thus supporting reuse and collaboration. To this aim, due to the heterogeneity of their processes and knowledge, they need to agree upon common concepts (e.g., concepts organized in an ontology), and map their own specific business process objects to them. Semantic annotation of business process elements with these agreed concepts allows performing this task though preserving proprietary and specific information, still available in process activity labels. In this scenario, in which an upfront ontology is available, semantic annotation suggestions support business designers in the hard work of mapping their own specific activities to the shared knowledge. There are cases in which complex processes require competences and knowledge from more than one field, so that more domain experts are asked to collaboratively work for building the process model. 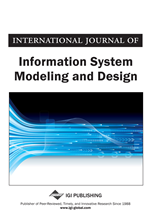 Moreover, the domain expertise could not only be limited to modelling a part of the process but it could also lead to constrain other experts’ modelling (Rospocher et al., 2008). Semantic annotation of process elements with concepts taken from an ontology built collaboratively and in parallel with process definition supports the experts not only in preserving a global view and in sharing a common understanding of the process under construction, without losing specific information, but also in incrementally verifying cross-domain constraints. After a short overview about concepts and notations that are used in the remainder of the paper (Section BACKGROUND), we describe our techniques for the semi-automated disambiguation of ontology concepts (Section DOMAIN ONTOLOGY ANALYSIS), the annotation of process elements (Section BUSINESS PROCESS SEMANTIC ANNOTATION SUGGESTIONS) and to support the business analyst in ontology creation and extension (Section ONTOLOGY SKELETON CREATION). A case study is reported in Section CASE STUDY. Conclusions and future works are finally presented in Section CONCLUSIONS AND FUTURE WORKS.